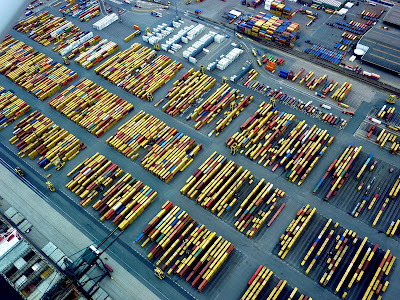 Antwerp has the most extensive port area in the world. Over the centuries, the area has grown to exactly 12.068 hectares, or around 20,000 football fields. 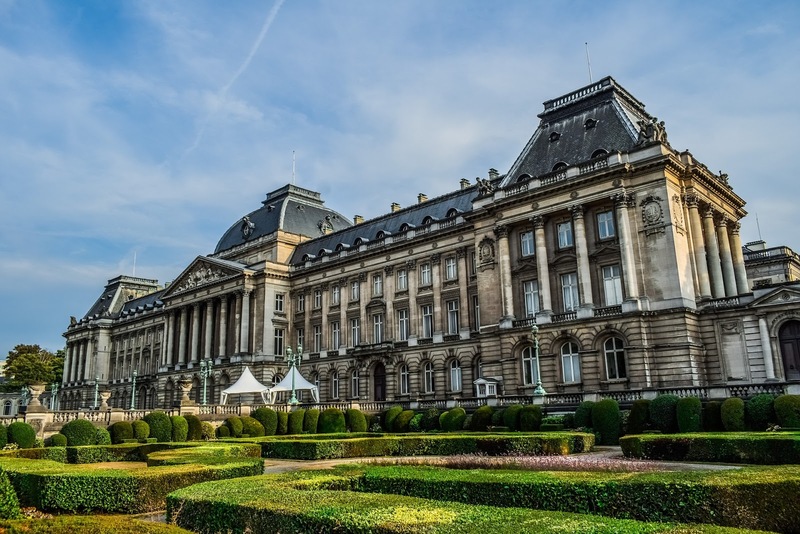 The port of Antwerp has a particularly rich history. Since the Middle Ages ships with cargo and passengers have found their way across the Scheldt river. Industry products such as wool and sheets provided more trade in the city. Heavy storm floods made the Scheldt more accessible around the beginning of the 15th century, allowing the ship trade to flourish even more. The 16th century was a Golden Age for Antwerp. 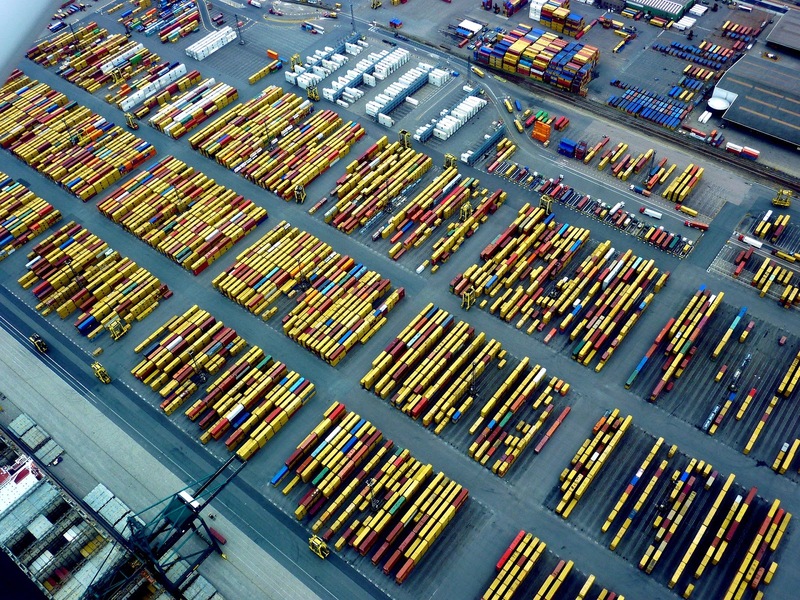 Art also finds its way via the port of Antwerp to France, Spain, Portugal and Morocco. Halfway through the sixteenth century, ten jetties and eight inland ports were constructed to accommodate this growth. 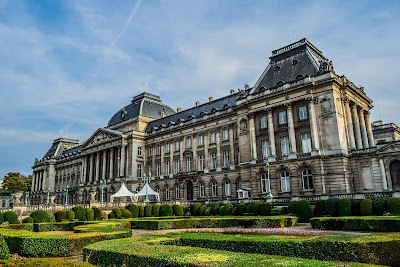 After Antwerp was occupied by the Spaniards in 1585 the Scheldt was closed from the outside and the city became a commercial world center with inner harbor for two centuries. Later, due to the influence of the French regime, led by Napoleon, shipping over the Scheldt has been possible since the end of the eighteenth century. Napoleon also decides to build new shipyards and docks, including the small dock (Bonaparte dock) and the big dock (Willemdok). Antwerp exploded as a trading city and in the late nineteenth century it decided to straighten the Scheldt quays. New docks were built on the northern side of the city. The growth continues northward to the construction of the third sealock, the Kruisschansluis, now better known as the Van Cauwelaert lock. In 1929, diligent dock workers unloading no less than 26 million tons of goods. Antwerp already laid the foundation for what is still one of its most important assets: 'every cargo can find a ship and every ship can carry a load'. The Scheldt City is definitely a distribution center of world renown, where people work quickly and efficiently. Antwerp is one of the few European ports that was not completely destroyed during the Second World War. It went quickly back to business. Thanks to the impetus of the Marshall Plan, Antwerp became the largest chemical cluster in Europe, which it still is today. To anticipate the ever increasing shipping and traffic, the port of Antwerp keeps on working on various projects. For example, in 2011 the construction of a second sealock on the Left Bank started. The lock was the same length and width as the Berendrecht lock on the right bank, but the draft is larger. 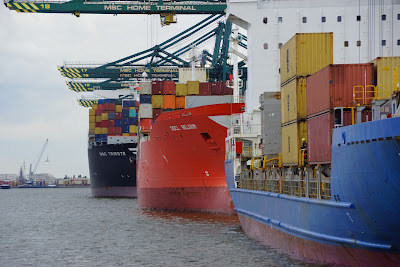 With this, the Kieldrecht lock takes over the title of the largest sea lock in the world. On 1 July 2016, the lock was officially taken into use. In the past five centuries, Antwerp has developed into one of the leading international ports. Politically Bruges was run from de Brug. The economical trade however was done from the market square. The city was the trade city for the whole region. The market square was and still is the beating heart of the city. Till the 18th century ships came through the canal to the city square and moored at the East side of it. At the Waterhalle the ship's were docked and handled. In 1787 the canal was covered and the Waterhalle had to make way for three neogotic houses. The houses have the typical Flemish facades and were used as guild houses. Central on the square is the statue of Jan Breydel and Pieter de Coninck, the two leaders of the resistance against the French occupation. 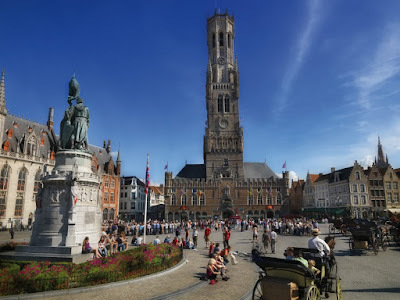 They were also responsible for the battle of the gulden sporen slag and defeated the French troops on July 11 1302, proofing the strong power of the Flemish people.